Blue Ventures works with coastal communities to develop sustainable approaches to marine conservation. Around the world, tropical coastlines are over-exploited. As well as being a serious conservation concern, this can have drastic effects on the income and food security of local people. Blue Ventures helps to create Locally Managed Marine Areas (LMMAs) which are run by the community for the community. The team conducts ecological research to underpin future management decisions. Often the first action is to stop all fishing for a short period to allow populations to recover. In Madagascar, where they began their work, Blue Ventures has enabled the creation of 65 LMMAs covering 11% of the country’s continental shelf. 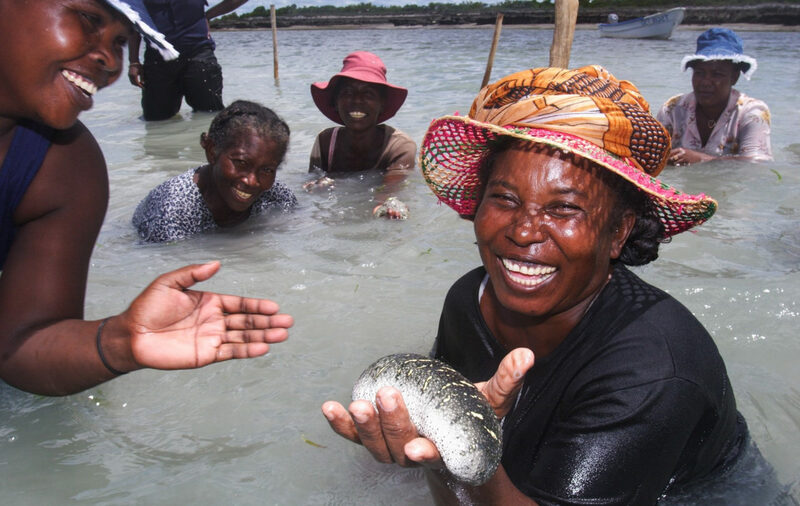 Sustainable management of the wildlife resources, together with environmentally sensitive aquaculture, provides reliable benefits to local people while protecting marine species and ecosystems. Tusk has helped Blue Ventures start their work in the Comoros, an island chain between Madagascar and continental Africa. Working with local group Dahari, this has focused on two villages on the small (424km2) island of Anjouan. Tusk funds enabled the initial socioeconomic and environmental assessment as well as community training and fishery monitoring. From an early stage one village made a community decision to prohibit net fishing. Setting up a successful LMMA requires a concerted effort involving ecological research, policy development and community engagement. And every success highlights how many more sites need this kind of inspirational intervention. With our marine life in such a perilous state, we must ensure that the work of Blue Ventures continues and expands.